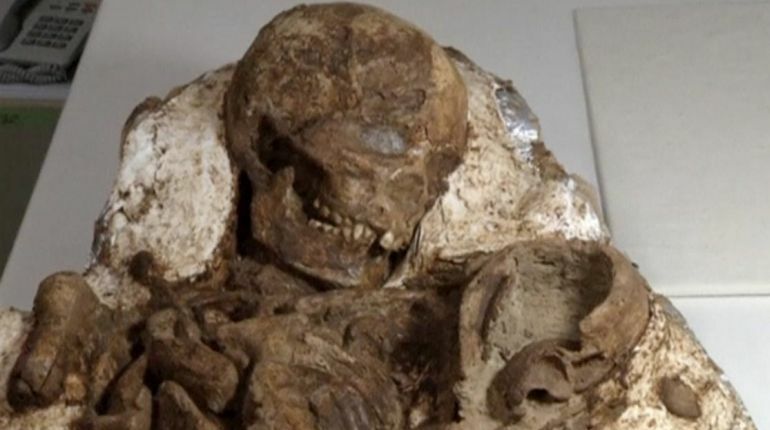 The eternal love of a mother for her child might be a literary hyperbole; but the phrase can now boast a historical context – courtesy of a pair of 4,800 years old skeletons. To that end, archaeologists have discovered human remains (over 48 sets) in the Taichung area of central Taiwan, and one of these sets heartrendingly showcases a skeleton of a mother cradling her baby (presumably). And the really poignant part is – the mother seems to look on to her child with her slightly tilted head. When it was unearthed, all of the archaeologists and staff members were shocked. Why? Because the mother was looking down at the baby in her hands. 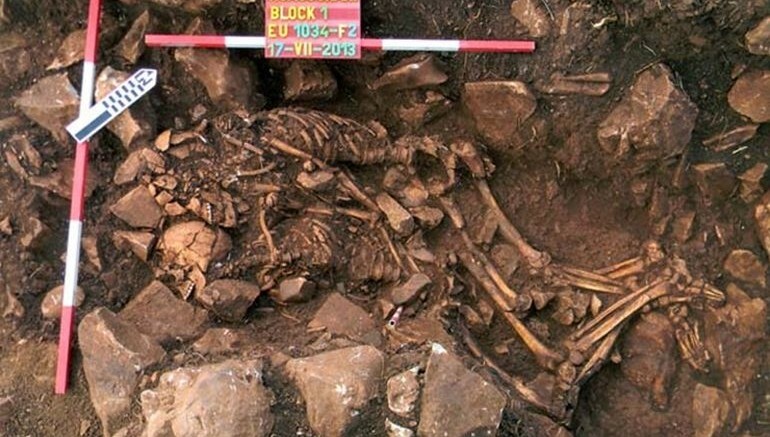 Intriguingly, this is not the first time that archaeologists have come across skeletons in rather affectionate poses. An even older set of skeletons (around 6,000 years old) was discovered in one of the Diros caves in Peloponnesos, southern Greece (pictured below). Comprising a man and a woman, their remains were found to be in a ‘snug’ fetal position with one embracing the other from behind. The ‘spooning couple’ raised many questions – with the obvious ones pertaining to the cause of their deaths. Unfortunately, archaeologists did’t have any conclusive answers, except for the hypothesis that the couple probably died at the same time.